Discover why Alec's Chess Club for Kids in Studio City, California, is the ideal choice for children interested in chess. "My son, Christopher, has been taking chess lessons with Alec for over a year now. During that time I have seen my son's chess skills increase. But, more importantly, Alec has created an environment where chess is fun and interesting. This is an environment in which my normally quiet son finds himself at home. Alec is easy going but does not permit any nonsense. Alec has a wonderful way of keeping a group of children focused on the task at hand without ever making a sharp comment or raising his voice. His focus is always on the positive, ever encouraging often making thoughtful suggestions. I am grateful that my child is a part of Alec's chess program and I would highly recommend it to anyone who has a child interested in the game of chess." "Our son has been taking chess classes with Alec for about 4 years. He loves both his teacher and the class and is always excited to go. The game of chess teaches skills that go far beyond the game itself—logic, analysis, patience, decision making, just to name a few. But it can also be very difficult to learn, especially for young children. Alec makes his classes fun while keeping them challenging. It has a lot to do with Alec's teaching and personal style. Alec is very approachable, patient and has a great sense of humor. He has a very good rapport with his students and creates a safe and conducive learning environment. It is obvious Alec enjoys what he is doing. But most importantly, kids enjoy his classes and the game." 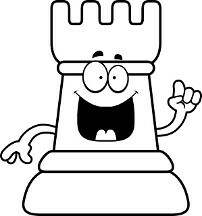 - Alla & Roman C.
"I believe that Alec's chess class is by far the most fun you will have learning chess. His teaching style is comfortable, fun, and effective. His style allows him to teach students in a comfortable and enjoyable environment while teaching them everything they need to know to progress and improve their game." "Alec has been our kid's chess teacher for two years. Both our son and daughter truly enjoy and benefit from his approach. Alec is patient, fun and yet strict. Studies have shown that kids that play chess excel academically. We have certainly seen those changes in our kids as a result of his classes." "Alec is very patient. My children would like him to come every day to teach! He inspires them to want to learn more and play chess in their free time!" Contact Alec in Studio City, California, today to receive excellent chess instruction from a private chess coach.